Josie Maran Winter Dreams Argan Colour Collection contains 5 argan oil products that are the moisturizing magic ingredient in all of Josie’s makeup. It helps to reduce the appearance of fine lines and wrinkles, while adding a little shimmer and shine to the face. 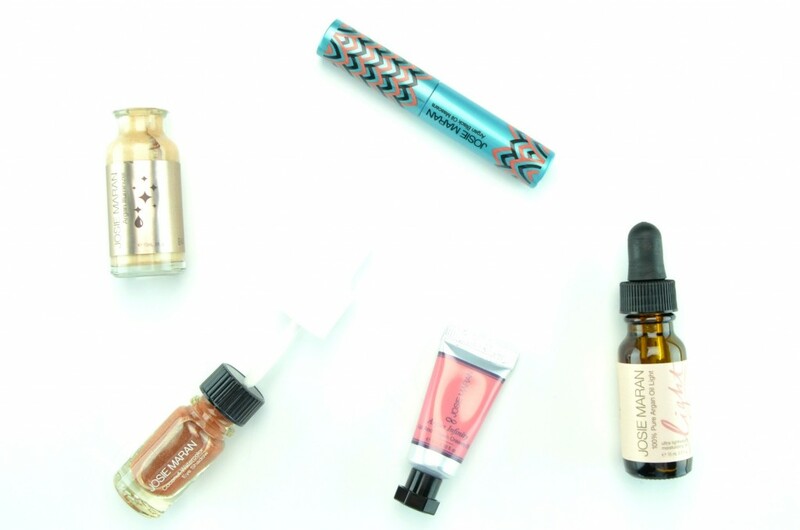 The set includes a mini version of Argan Black Oil Mascara, Argan Infinity Lip and Cheek Creamy Oil in Limitless Pink, Coconut Watercolor Eyeshadow in Rio de Rose Gold, Argan Illuminizer and 100% Pure Argan Oil Light. Each product can be applied sheer for a very natural look or layered and built up for a more intense, illuminated evening look. It’s best suited for those with normal to dry skin as the argan oil is extremely hydrating. Best part about the collection, each product can be applied and used with just the use of your fingertips, no brushes needed. All you’re left with is healthy, hydrated and glowing looking skin. 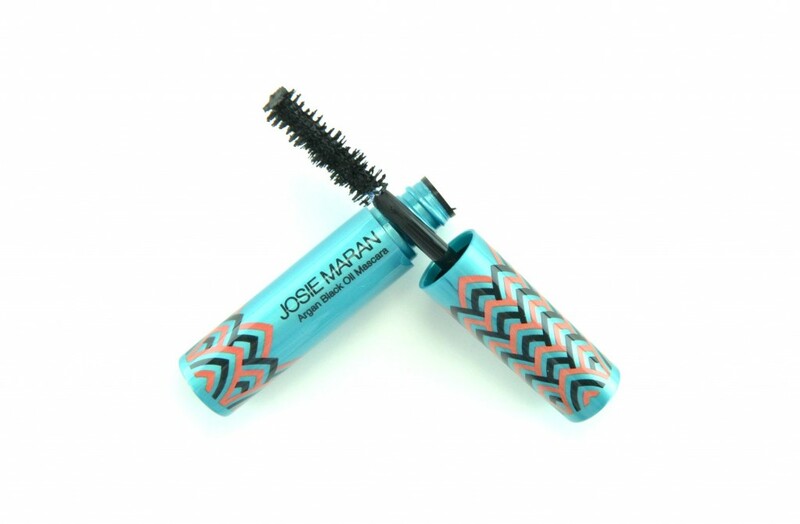 Josie Maran Argan Black Oil Mascara will help provide 24 hours of length, lift and curl with a nourishing, softening formula that’s made from 100% pure argan oil. It features an innovated brush that has 5 sectional clumps of bristles that help to reach every lash. Its lightweight, super intense, extremely black mineral pigmented formula coats each lash beautifully without faking, smudging or budging the entire day. 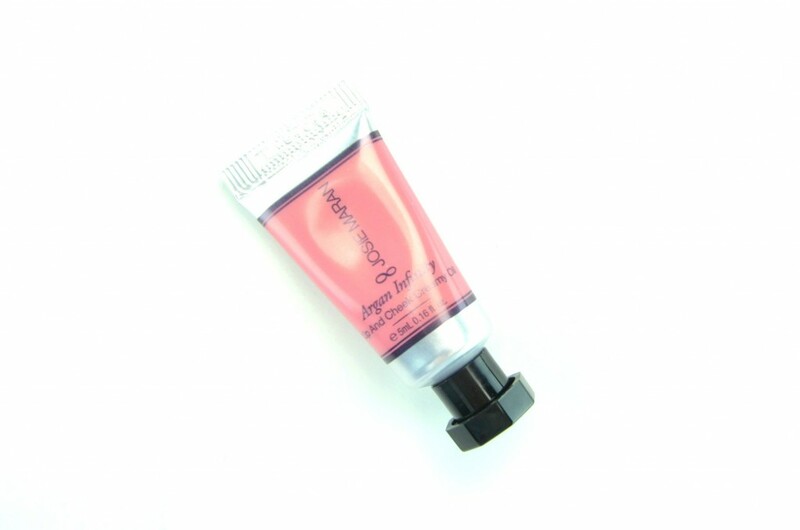 Josie Maran Argan Infinity Lip and Cheek Creamy Oil in Limitless Pink is a multifunctional product that can be used both on the cheeks and lips. It has a creamy, gel-like texture that absorbs easily into the skin and blends out beautifully. It has somewhat of a gritty texture when applied to the lips, almost like a scrub, but does eventually provide a smooth, shiny finish. It’s extremely moisturizing, both on the cheeks and lips, without being oily or greasy. It’s extremely buildable, taking you from a sheer wash of colour to more opaque without looking cakey. It gives an extremely healthier, dewy, illuminated finish without looking too shimmery. It wears for a solid 8 hours on the cheeks and about 3 to 4 on the lips. Josie Maran Coconut Watercolor Eyeshadow in Rio de Rose Gold is a liquid eyeshadow that’s infused with metallic pigments suspended in coconut water. It comes with a doe-foot applicator for easy application, just dab it on and blend out with your finger. It dries and sets within seconds and feels highly moisturizing on the eyelids compared to traditional eyeshadows. It doesn’t crease or smudge for the entire day, you’re just left with an extremely opaque rose gold metallic finish. 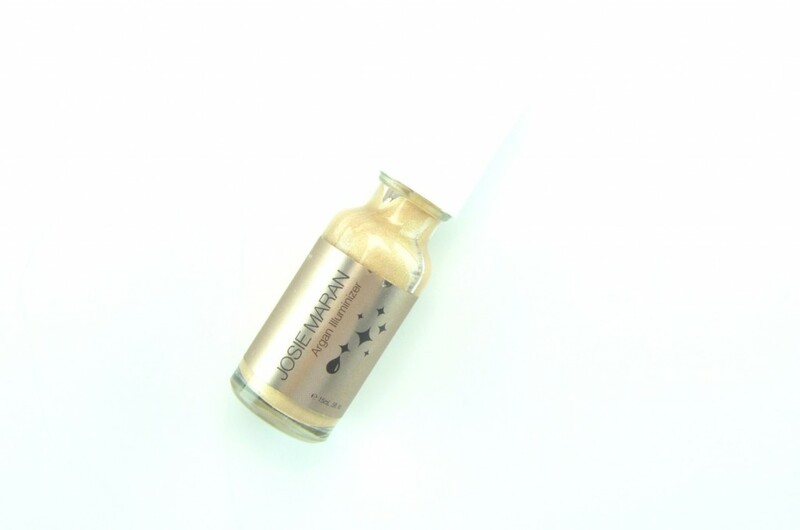 Josie Maran Argan Illuminizer can be used alone or mixed in with your favourite foundation to give an instant boost of radiance and natural glow to the skin. It has a lightweight bronzy sheen that gives the cheekbones, eyes and décolleté a radiant, luminous, lit-from-within healthy glow. It also helps to eliminate dark circles and rejuvenate tired eyes. It applied evenly, but does set fairly quickly, so you’re going to have to move quickly. When mixing with your foundation, I didn’t notice my makeup drying any faster, so you have the same amount of blending time as you normally do. 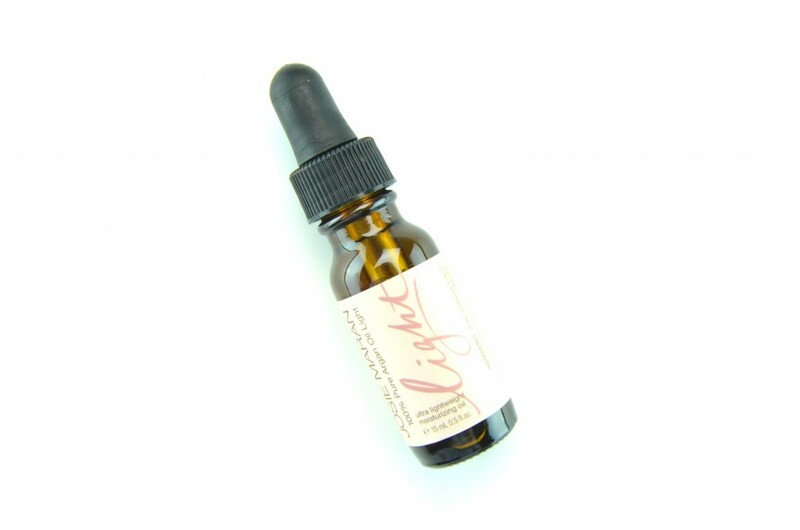 Josie Maran 100% Pure Argan Oil Light has an ultra lightweight formula with the same great benefits as the original. Although many may think an oil would break you out, it actually does the opposite. It helps to reduce sebum production making it ideal for those with blemish-prone and sensitive skin, like myself. Its helps clear up my breakouts and reduces redness caused from past blemishes. It’s extremely moisturizing with a semi-matte finish, no oily or greasy residue left behind. Skin is left feeling smoother, tighter and extremely hydrated throughout the day.